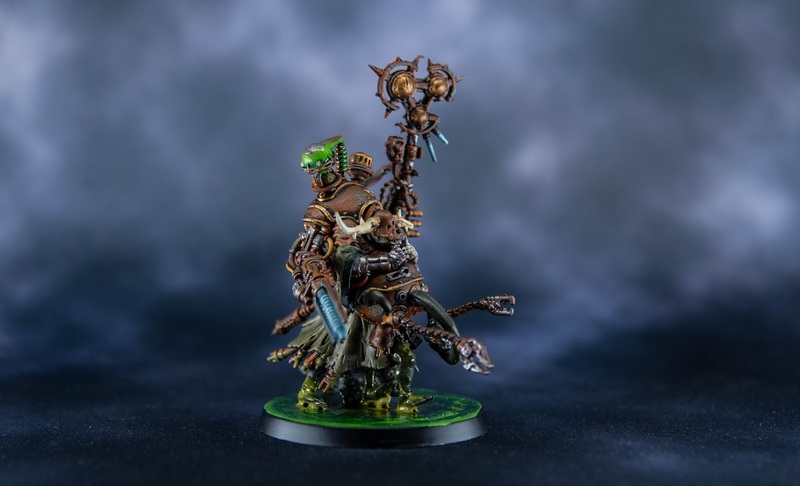 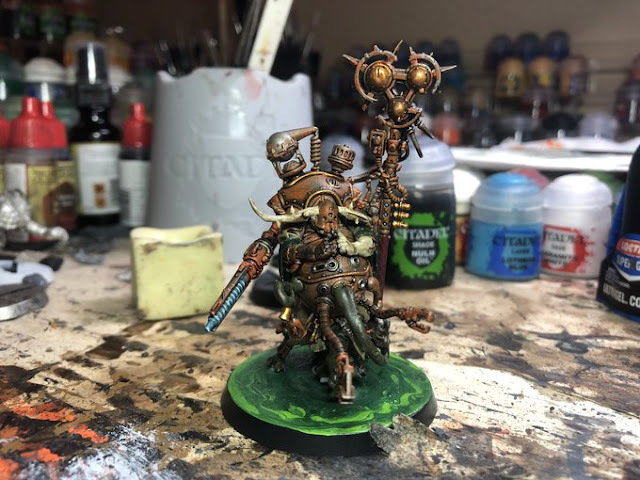 Ok, the Last Vegas Open Narrative event is just a week away, but I managed to squeeze in one last Nurgle conversion for the Corrupted Ad Mech project. The brand new Tech Priest Manipulus that released yesterday was thus a rush job to be ready for the event, but despite the time pressure I am very happy with the results! 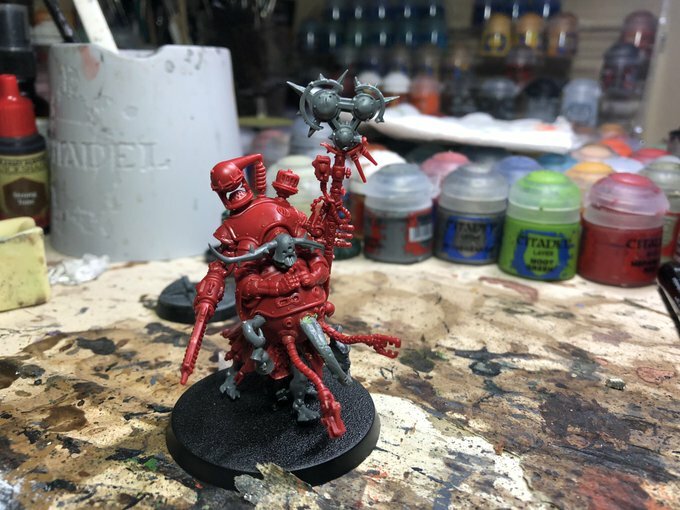 This guy has a lot of character and was a joy to convert! I had a bunch of Plaguebearer legs left over from the Ruststalker conversions, so they provided eight legs for this guy! 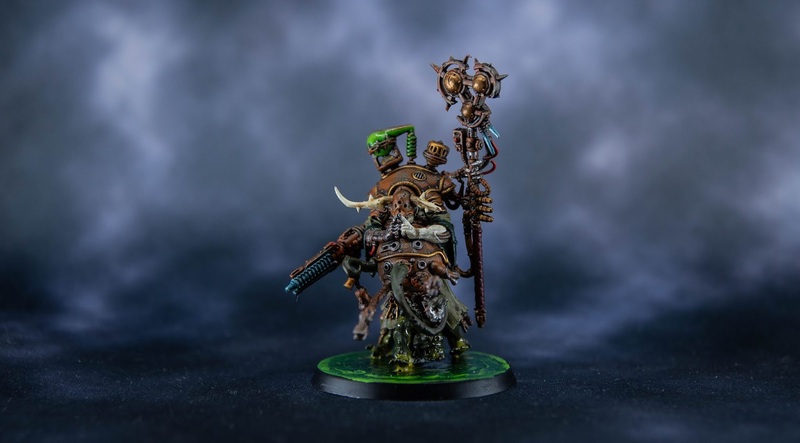 I thought it suited the Nurgle aesthetic perfectly! Then some other smaller conversion parts provided him with an appropriate head, weapon and tentacles. 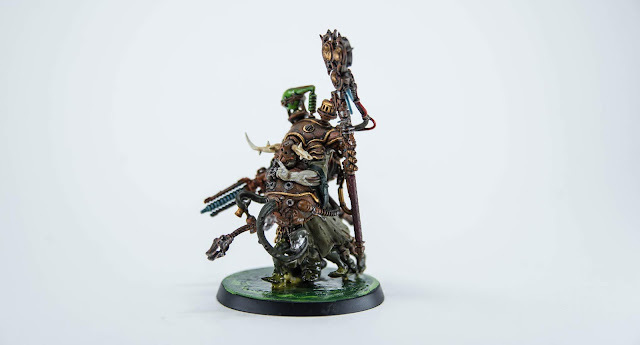 All in all, despite the tight schedule on this one, he is going to be a great addition to the Corrupted Ad Mech when they roll out at LVO next week!